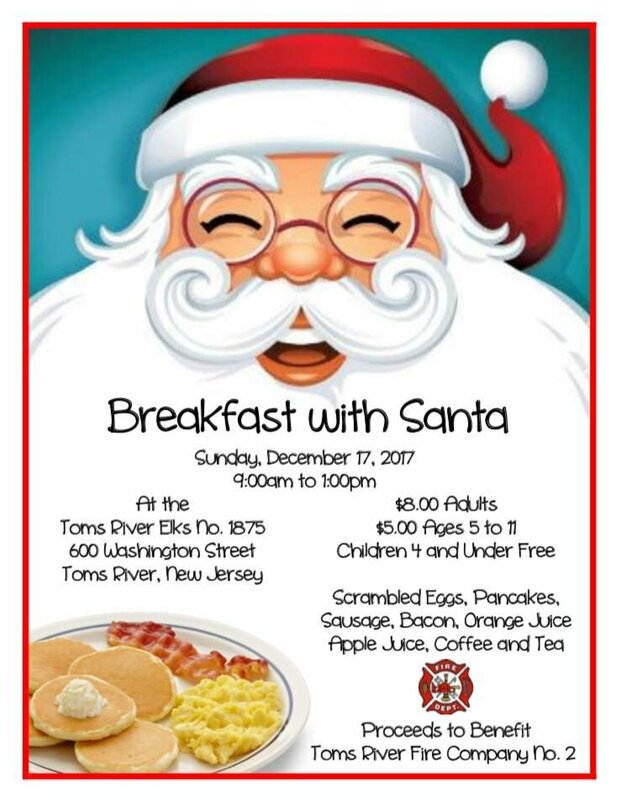 AT THE TOMS RIVER ELKS LODGE 600 WASHINGTON STREET, Toms River! $8.00 for Adults, $5.00 ages 5-11, Children under 4 are FREE!! All you can EAT & DRINK Scrambled Eggs, Pancakes, Sausage, Bacon, Orange Juice, Apple Juice, Coffee and Tea! Door Prizes, Raffles, & The drawing of our Holiday Cash Raffle!